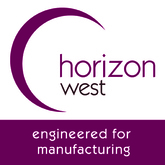 Horizon West is a privately owned organization that deals in building projects. The company started its journey in the year 1983 and is offering similar services from approximate 30 years. Company professionals specialize in handling both budgeted and expensive building projects for individual clients. It is a reputed organization in Colorado that offers worthy solution to complete varied construction projects successfully. Headquarter of the organization is in Brighton, Colorado. The company offers services to work on fast track, design builds and competitive bid projects. Moreover, professionals here create working opportunities for lead carpenters and labors to work in a reputed organization in Colorado. There are currently 0 consumer reviews about Horizon West available. Share your review. Please take a note that you are about to post a public review about Horizon West corporate office on CorporateOffice.com. This review will be public, so please do not post any of your personal information on this website. If you would like to contact the corporate offices of Horizon West, please use their contact information such as their phone number, website, and address listed above to contact them. However, sometimes staff from Horizon West headquarters do read the reviews on this website.